TERMS OF BUSINESS. For certain types of insurance we are also authorised to issue policy documentation and/or certificates on behalf of the insurers. 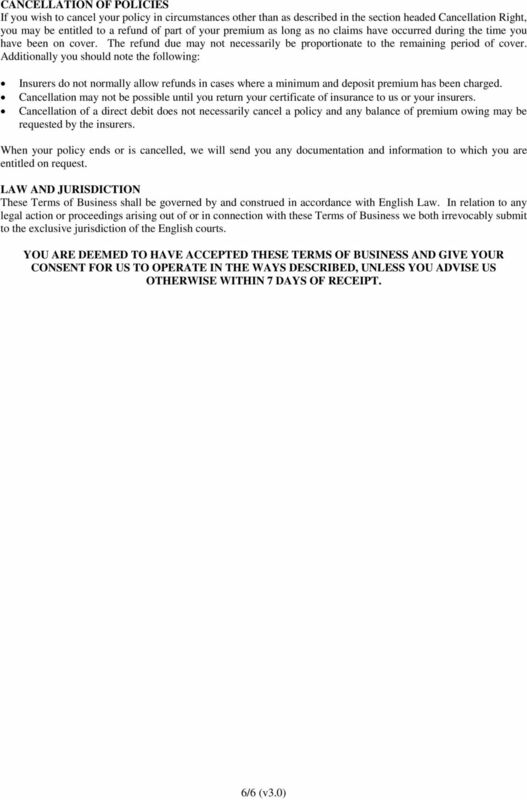 Download "TERMS OF BUSINESS. For certain types of insurance we are also authorised to issue policy documentation and/or certificates on behalf of the insurers." 3.6. Please also note, unless your policy confirms otherwise, the rights under your policy may only be pursued in an English court. 1. 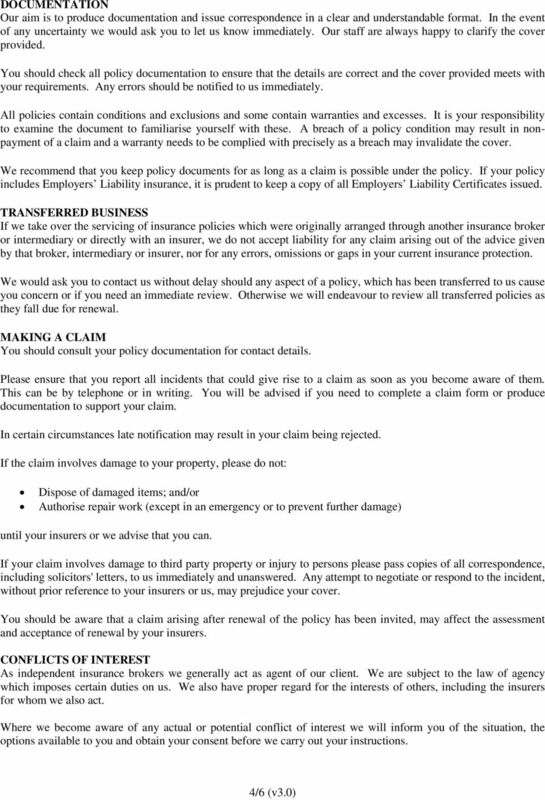 BROKER INFORMATION TERMS OF BUSINESS AGREEMENT - INSURANCE BROKING Stephenson s (2000) Ltd T/As Cooke & Mason, Manor House 3 Low Moor Road Lincoln LN6 3JY is an independent Chartered Insurance Broker. Our permitted business is advising, arranging, dealing as agent and assisting in the administration and performance of general insurance contracts. 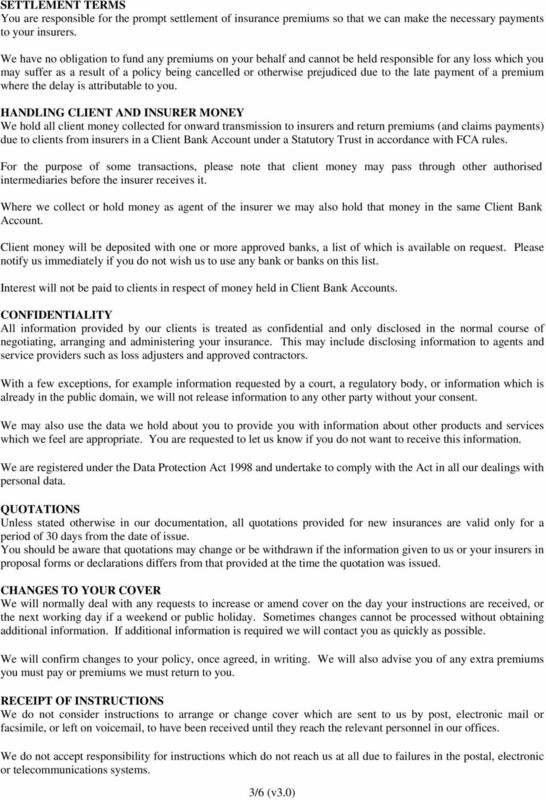 Important information we must disclose to you In addition to the information below, IT IS VERY IMPORTANT THAT YOU READ CLAUSES 4 & 10 OF THE TERMS OF BUSINESS document below. 1. Who are we regulated by? 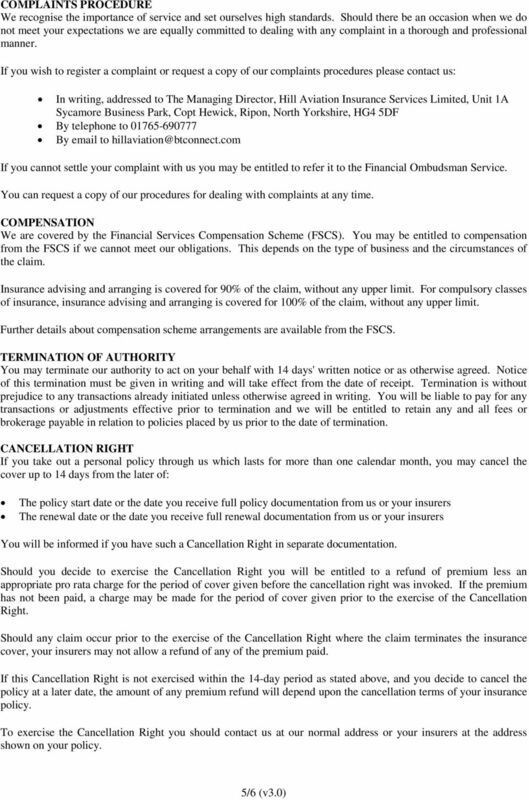 This document explains the service you are being offered and how you will pay for it. 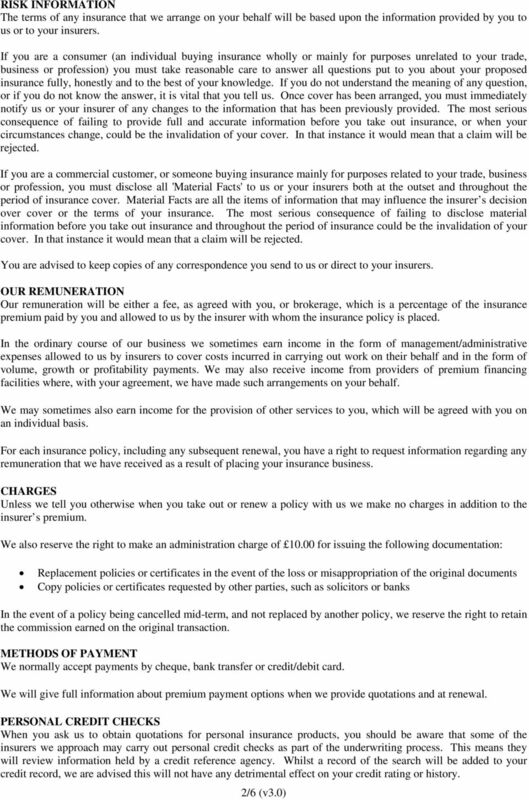 CLIENT AGREEMENT This document explains the service you are being offered and how you will pay for it. 1. Commencement date This Client Agreement comes into effect on the date you receive it from us. 2. Terms of Business. Who we are? Whose policies do we offer? Which service will we provide you with? When dealing with insurance products in each case we will advise you and make a recommendation after assessing your needs. TERMS OF BUSINESS. 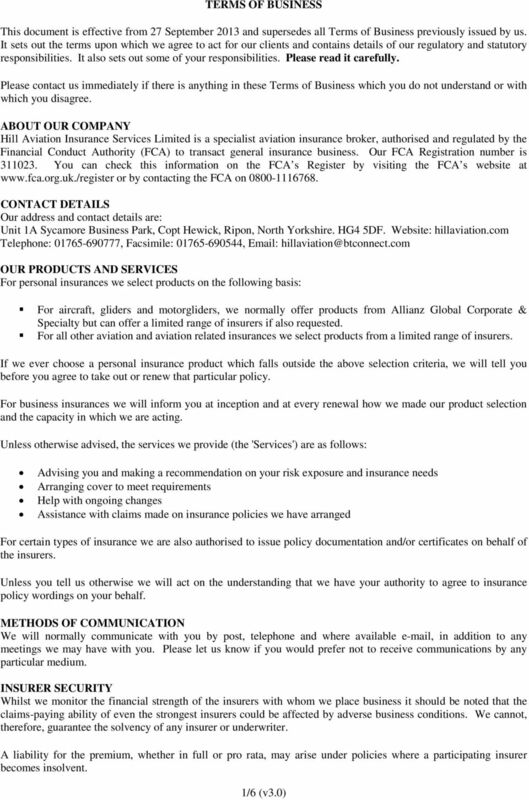 Registered as an Insurance Intermediary under the European Communities (Insurance Mediation) Regulations, 2005 (as amended). Term assurance, critical illness, mortgage payment protection, income protection insurance, payment protection insurance and household Insurance. Mr and Mrs Sample and future owners or occupants of the Property and Your/their mortgage lender(s). We are authorised by Personal Touch Financial Services Limited to advise and make arrangements in relation to protection and general insurance. POST OFFICE MONEY BUSINESS INSURANCE Terms of Business Agreement Post Office Money is a registered trademark of the Post Office and is used under licence by Arthur J. Gallagher Insurance Brokers Limited. G74 5DD. We only offer products from a limited number of companies.?? We only offer a particular product from a single group of companies.